You see a map that displays territory of Russia. map of Zvezdnyy и OziExplorer calibration download for free. actual map of Kondratovo 1 cm to 1 km here. actual map of Gamovo presented. topographic map of Lobanovo with gps calibration this. free map of Bershet' download for free. free map of Ferma и OziExplorer calibration here. map of Yug и OziExplorer calibration for Garmin. interesting map of Yanychi и OziExplorer calibration presented. 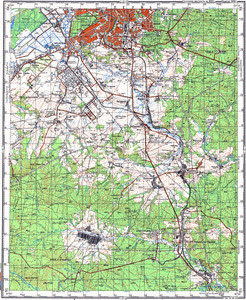 actual map of Verkhnyaya Mulyanka free download. topographic map of Vanyuki here. map of Staraya Bershet' displayed. detailed map of Ryzh и OziExplorer calibration presented. map of Podgornaya calibrated displayed. topographic map of Osentsy и OziExplorer calibration download for free. actual map of Novaya Bershet' with gps calibration for gps. topographic map of Nestyukovo calibrated for Garmin. detailed map of Merkushevo with gps calibration for you.